The 24th game in the English Premier League on Tuesday and Wednesday evening offered several surprises. The top teams have been extremely difficult and had to let some surprising feathers. For a team from the table cellar, however, this English week could be the “game changer” in the relegation battle. Fulham celebrated a 4-2 comeback win after beating Brighton & Hove Albion 2-0. The dream of relegation is still intact. This weekend is the next trend-setting game for the Cottagers on the program. The small London derby faces Crystal Palace and Fulham! The Super Eagles from the London district Selhurst missed in their relegation crash against Southampton despite a lead an important victory. With 23 points Crystal Palace is currently four points ahead of the first relegation rank and six points clear of the city rivals Fulham. The Cottagers could impress with the second victory within a few days impressive in the fight for relegation. For the bookmakers, the home side are, however, a relatively clear favorite. For a victory of Crystal Palace against Fulham odds of just over 2.00 are offered. The game begins in Selhurst Park on Saturday at 16 clock. Last weekend, head coach Roy Hodgson’s team managed a surprise 2-0 home win over city rivals Tottenham in the FA Cup. In the oldest cup competition in the world, the Super Eagles knew how to convince. At St. Mary’s Stadium in Southampton, the positive trend continued. Thanks to a goal from Wilfried Zaha, who is repeatedly wooed by BVB, the guests led a long time, but the last 15 minutes were catastrophic for the Londoners. First, the bitter equalizer had to be accepted. A little later, scorer Wilfried Zaha had his nerves under control. Within seconds, he received due to persistent criticism yellow and yellow-red. His absence in the derby against Fulham is extremely bitter. Zaha has scored four goals this season, but it is not without reason that teams like Dortmund, Manchester City and Arsenal are after him. With his speed, wit and sophistication he is always good for a surprise. Roy Hodgson can not compensate for his failure against the cottagers. The 2-0 victory in the FA Cup against Tottenham was one of the few convincing performances in front of home crowd. The home record is clearly negative with two wins, three draws and six defeats. In addition Crystal Palace scored only six goals in eleven league games at home. With only nine points, the Super Eagles are the second weakest team in front of home crowd. Winning at this season’s home games at Crystal Palace were the bets on the under 2.5. Only in two of the eleven games were three or more hits scored. Between Crystal Palace and Fulham are offered for the tip on the under 2.5 odds in the range of 1.80. By comparison, 18 goals have been scored in 13 away games so far. The home advantage is in the relegation candidate from Selhurst not necessarily as such to evaluate. The Italian Claudio Ranieri sparked euphoria at Fulham as the new head coach. After all, the fairy tale of Leicester is still a concept for any football fan. Ranieri made headlines as he promised his players a McDonalds visit for each “to zero”. However, the American fast food chain has only welcomed the players of Fulham once. Two days before Christmas Fulham remained in the previous Ranieri era in the 0-0 draw against Newcastle United the only time without a goal. In the remaining games goalkeeper Sergio Rico had to grab at least once behind. Since the ninth matchday, the newly promoted is now continuously on a relegation zone. Fulham started the new season with great ambitions. Expensive signings resulted in high expectations. However, the signings have so far owed much. Nevertheless, a positive trend can be seen since Ranieri swings the scepter in Craven Cottage. The only problem he has not gotten his hands on is the blatant outward weakness. Fulham has suffered ten league defeats in 12 league matches. Only against Brighton & Hove Albion and the mentioned game against Newcastle United ended with a point division. An away win is so far still missing. Nevertheless, chances are good that this negative series will come to an end on Saturday. During the week, the Ranieri team showed great morale. Against the Seagulls from Brighton, there seemed to be the next major setback. Despite a 0-2 break, Fulham did not give up. The early goal at the beginning of the second half started the turnaround. Once again, Serbian international Aleksandar Mitrovic was the outstanding man. With his goals for the season nine and ten (each head) he made the turnaround. Fulham is alive, Fulham hopes Fulham is fighting! A victory for morality! And Ranieri has already shown that dreams can come true. 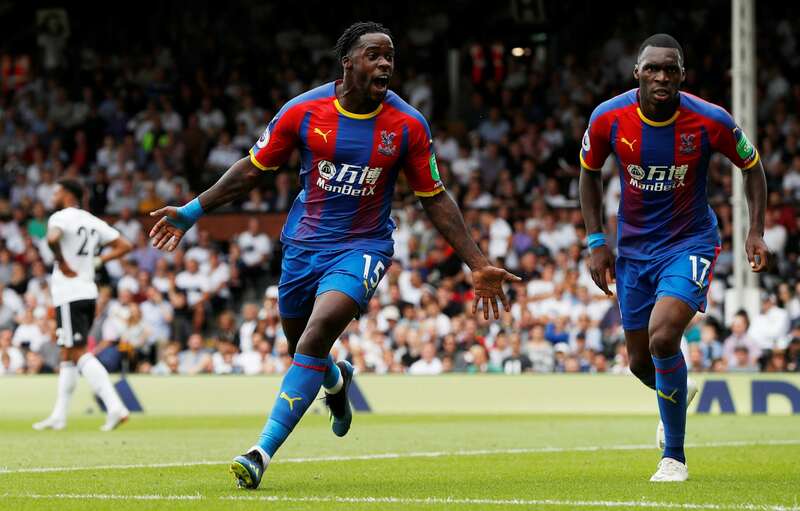 In the game between Crystal Palace and Fulham a prediction on the premier victory in foreign countries is certainly risky, but after such a comeback victory, the team should not be underestimated. The two teams from the English capital London have faced each other only five times in the English football upper house. The balance is absolutely balanced with two wins and one draw. The first leg of the current season was already on the first match day on the stage. The return to the Premier League was for Fulham in the domestic Craven Cottage but by no means as desired. Crystal Palace celebrated in the first small London derby since the season 2013/14 a 2-0 away win! The London City derby is a landmark game for both teams! 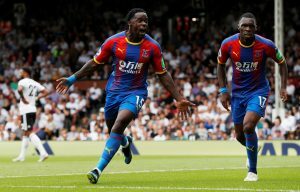 Crystal Palace could make a big step towards league status, while the guests want to finally make the connection to the saving shore within a few days with the second victory. Soberly, the second weakest home team and the weakest away team of the league will face each other at Selhurst Park. A football treat can not be expected at these omens. Big-Point missed – in the relegation battle against Southampton, the Super Eagles had to settle late! On the first day of the spree Crystal Palace celebrated a 2-0 away win at Fulham! Fulham is alive! After 0: 2 break in the break against Brighton, the Ranieri-Elf still prevailed 4: 2! Although Fulham have not won a single away game this season, odds of just over 2.00 are too low for the Super Eagles’ home win. Above all, missing with the Ivorian international Wilfried Zaha, the most important offensive player. Otherwise, the offensive game of Crystal Palace is relatively one-dimensional and easy to calculate. Fulham celebrated an important victory for the Morale on Wednesday, which can unleash forces again. Between Crystal Palace and Fulham, the odds for the away win in my opinion are set too high. Of course, there is a risk with a 0-2-10 away balance, but you can still find value in the 3.80 odds. With a moderate bet of three units, in the game between Crystal Palace and Fulham a tip on the away win is made!